ZEL provided all civil/site, structural, electrical distribution, lighting, building access system, security system, fire alarm system, construction administration, and full-time site construction inspection for two (2) 32,000 square foot each maintenance/warehouse facilities. 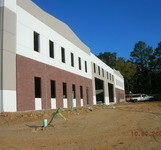 Each facility also included 10,000 square feet of office space. 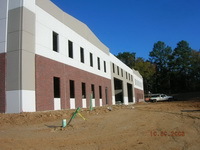 The site had to be design to work with other future buildings intended to complete the Columbia County Water Utilities campus. Other design services included surface modeling, comprehensive site drainage, secure storage area design and automated access control, and gas detection and exhaust system.